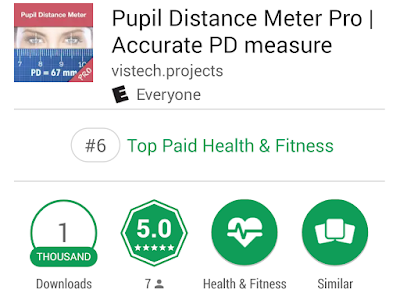 VisTech.Projects: Pupil Distance Meter PRO on Android released from Beta. 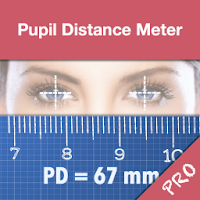 Pupil Distance Meter PRO on Android released from Beta. Of course you can always get your PD from a local optician and we encourage you to do so, if you need to check your vision and do other tests. 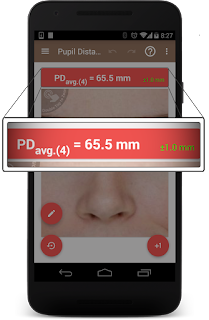 But if you simply need to order eye- or sunglasses online or doctor visit is not an option for you, you can always use this app and save towards your eye-wear purchase. 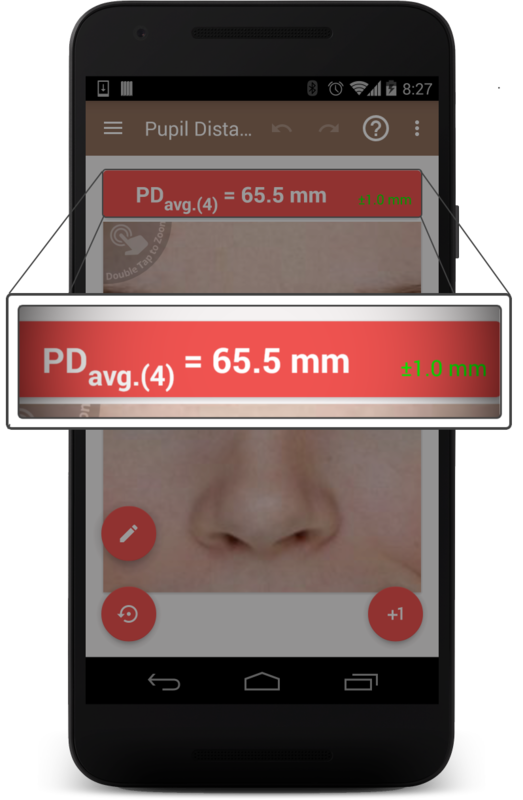 You can also use this app to check your interpupillary distance (IPD) for VR headset. 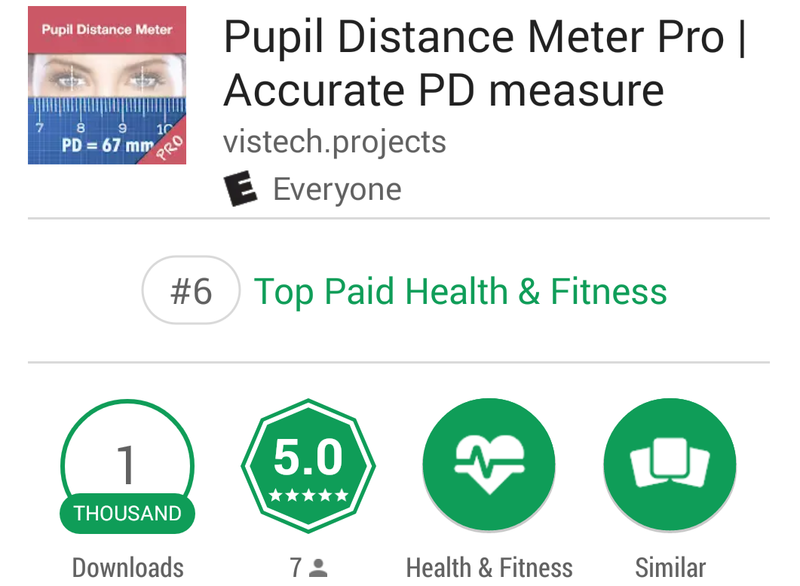 Now the app is available on Google Play and made into top 10 in the Health and Fitness category. If you want to test and support the app please contact us for promo code. Enjoy the app and please support it on Google Play if you like it. Thank you for contacting us, replied to email.